These freezing temperatures may not be bringing everyone joy, but there is one thing they’re good for. The skating ponds at Blendon Woods and Battelle Darby Metro Parks are officially open. At Blendon Woods, guests will find a 0.4-acre skating pond. 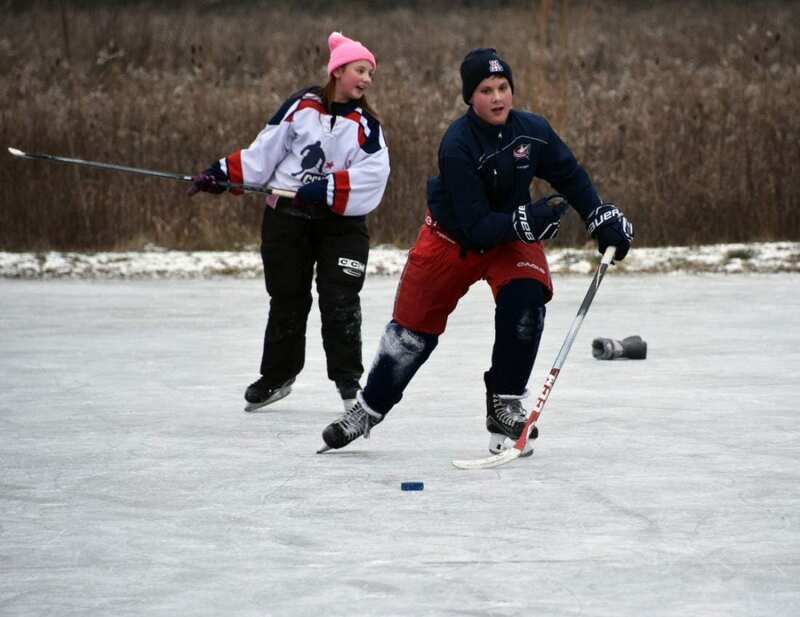 The pond is 18 to 24 inches deep and is the perfect place to learn how to skate. The pond is open to visitors of all ages. On the southwestern side of the city, a half-acre, 16-inch-deep pond is open at Battelle Darby Metro Park. The pond is located at 3711 Gardner Road, Georgesville OH 43123. In order for the ponds to be open, the ice must be frozen at least 3 inches deep. Luckily for us, the weather has been very accommodating to freezing water. These are natural skating environments, so if there is heavy snowfall or warming temperatures, the ponds may be closed. You’ll need to come equipped with all of your own gear at these locations, so don’t forget your skates at home. Pond hours and availability can be found on the Metro Parks social media accounts. The ponds are free and open to the public. If you’re not an ice skater but you’re looking to enjoy other winter activities, don’t forget to check out The Best Sledding Hills In Columbus. Bundle up, Columbus! Get out there and enjoy the awesome activities our Metro Parks have to offer!